Door holders are best used with fire and smoke break doors. Often these doors come with fire rated door handles and panic bars. idle for fire and smoke break doors. Panic bars that are fire rated cannot be outfitted with dogging devices. In most cases, doors are left open unless there is a fire, which is when they shut automatically. 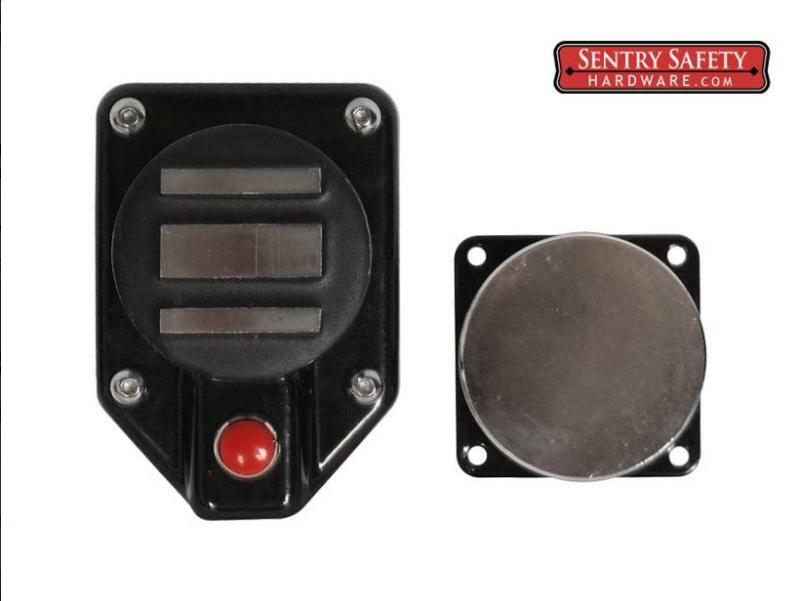 This Sentry E. Labs Electromagnetic Door Holder has the ability to be closed using either a normally open or normally closed alarm system signal. In addition, the holder has a manual override button that can disrupt power to the lock, making the door able to close. Fail safe: The lock releases and allows the door closer to shut the door when power is lost. 24VDC power: With less than .1 Amps, it works using 24VDC power. 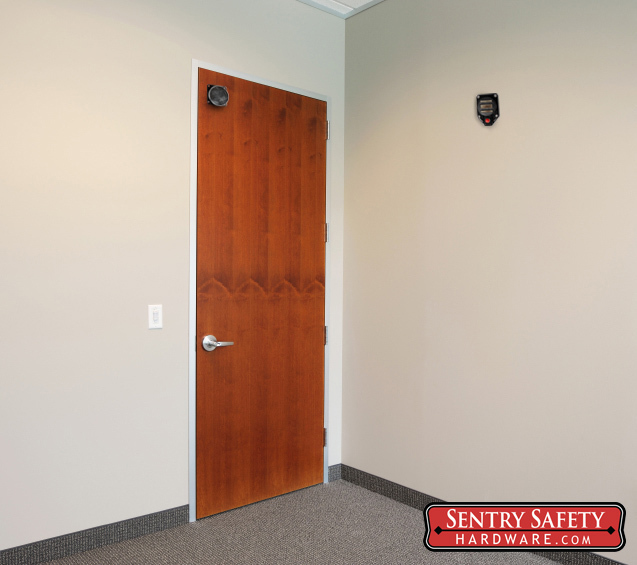 Uses include: shutting school doors for lock down procedures, fire break shutting, holding doors during business hours. Shock and pivot mount: Made from stainless steel and is able to absorb impact from door slamming using shock system and can pivot.